With the blessings of Nirankari Satguru Mata Savinder Hardev Ji Maharaj, Sant Nirankari Charitable Foundation organised a huge blood donation camp at Sant Nirankari Satsang Bhawan, Roopnagar. 201 devotees, including 25 women donated blood in this camp. The Blood Donation Camp was inaugurated by Additional Deputy Commissioner, Ropar, Shri Amandeep Bansal Ji, who, while addressing the happy, motivated devotees and donors, said that the sight of devotees donating blood voluntarily here, is truly commendable. There will be no other donation or charity bigger than this, when this blood will flow in the veins of those who need it, he added. No amount of development has made creation of blood, outside of human body, possible. Only one human being can donate blood to another, and that’s why its significance is immeasurable. Dr. B.S Cheema Ji, Zonal Incharge Chandigarh Zone said that Sant Nirankari Mission is a spiritual mission, uniting the soul with the Oversoul, and also contributes selflessly and tirelessly to social causes. He further stated that the Mission started organising Blood Donation Camps in 1986, with a message from Baba Hardev Singh Ji Maharaj that ‘blood is to flow in veins, not in drains’. Adhering to this, Nirankari devotees have been donating blood and contributing selflessly to the society, for the past three decades. Further to this, Additional Zonal Incharge, Dr. (Smt.) J.K Cheema Ji said that this is the eighth Blood Donation Camp of Chandigarh Zone, this year, and has been organised by Sant NIrankari Charitable Foundation, as an effort towards selfless service to the society. On this occasion, local Sahayak Sanyojak Shri Rajinder Kumar Dhingra Ji and Sewadal Sanchalak Shri Devi Sant Ji expressed gratitude to Shri Amandeep Bansal Ji, Dr. B.S Cheema Ji, Dr. (Smt.) 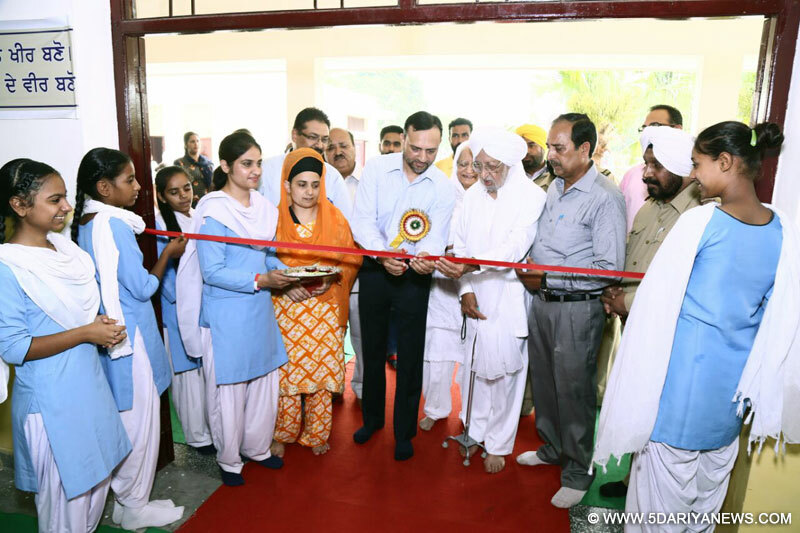 J.K Cheema Ji, along with Pradeep Kumar Ji, Khetriya Sanchalak Sant Nirankari Sewadal, Ropar, Mukhi Balsanda Lakhvir Singh Ji, Mukhi Bagga Singh Behrampur Ji, Mukhi Shri Dhyan Singh Dhanauli, and Dr. Gurvinder Kaur and her team from Civil Hospital, Ropar.Shri Amarjit Singh Ji, Nirankari Sewadal, appreciated the efforts of the Sewadal members in making the camp successful. Devotees from not only Ropar, but Dhnauni, Chamkaur Sahib, Noorpur Bedi, Balsanda and nearby areas also participated inspiringly, in the camp. The camp was successfully culminated with the help of Dr. Gurvinder Kaur and her team of ten paramedics from Civil Hospital, Ropar.